Radon is a radioactive gas that occurs naturally in the environment through the breakdown of uranium in the soil. Radon gas has been found in homes across the country. Studies show serious health risks of radon, so it’s important to have your home tested to protect yourself and your family. Research has been conducted extensively over the past few decades on the health risks of radon, yet protective measures are often overlooked. Professional radon testing is the only accurate way to learn the levels of radon in your home. Many homes have some amount of radon, but the EPA has stated that 4 picocuries/liter is when you should take radon mitigation steps. The three leading causes of lung cancer in adults is tobacco use, secondhand smoke, and exposure to radon. The radioactive isotopes that radon consists of can cause permanent and irreparable damage to cells in the body. Prolonged exposure to high levels of radon can increase your chances of getting lung cancer. If you or a loved is a smoker, the effects of exposure can be amplified significantly. Radon is the number one cause of lung cancer in non-smokers. It’s even more dangerous than secondhand smoke when considering the risks of cancer. Children are at risk of developing lung cancer from radon inhalation due to their higher respiratory rate and smaller lungs, which causes damage at a faster rate. Radon can also be present in well water, and some studies show a link between drinking well water that contains high levels of radon and cancers of the internal organs, particularly stomach cancer. Radon in well water can also escape into the air, increasing the airborne radon in the home. Anyone who uses well water should have it tested for radon. 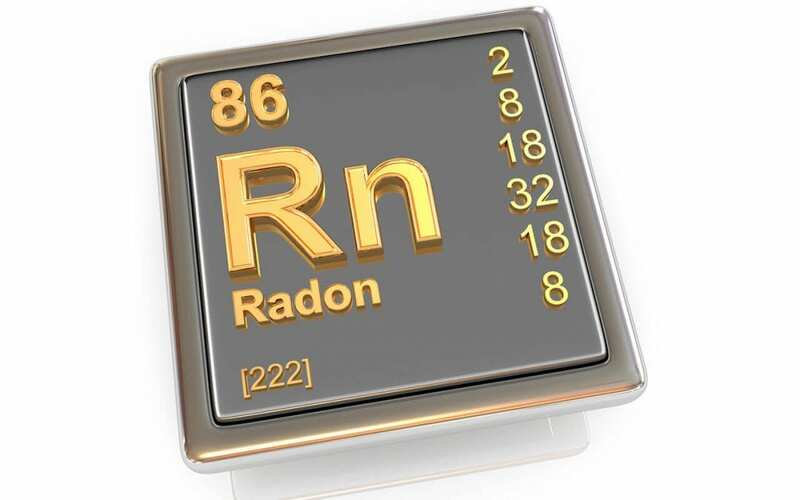 Radon gas may account for over half of all yearly radiation in average adults. This is because radon is so abundant in homes and in the environments we live. It is a staggering fact when considering the radioactive materials we face each day in the modern world. Radon combined with other forms of radiation can lead to various cancers, nausea, headaches, fever, flu-like symptoms, anemia, and a weakened immune system. High levels of radon can affect any home. It doesn’t matter how old the home is, where it is located, or the radon levels of the neighbors. Many older homes have openings that allow radon to enter, and many newer homes are so airtight that radon levels can build up quickly. Having a trained professional home inspector test your home for radon is a must for anyone who is buying a home or who lives in a home that has never been tested. Protect your family from the health risks of radon. Rhode Island Real Estate Inspection Services serves all of Rhode Island with professional radon testing and other home inspection services. Contact us to schedule your radon test.